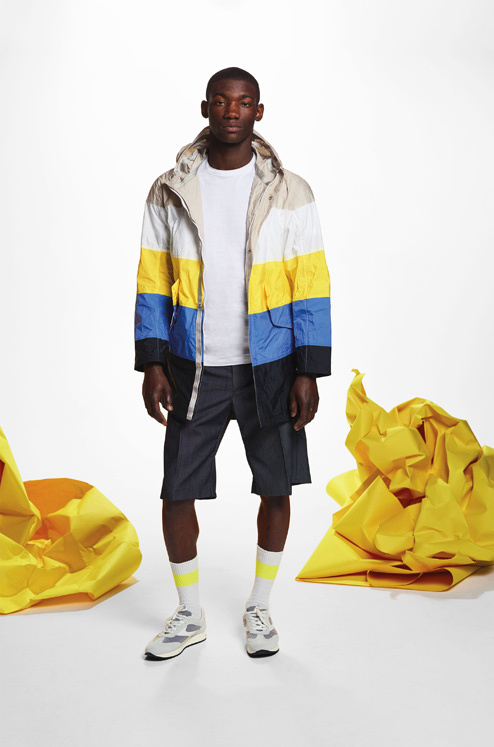 The menswear icon and street style star has designed a capsule spring/summer 2019 collection for Italian label Paul & Shark. In an exclusive interview at the brand’s Milan showroom, Nick shares his creative process, his favourite ‘crunchy’ pieces and his ideal length for swim shorts. ESQ: You’ve been a buyer, a consultant and a designer. Out of all these roles, which do you enjoy the most? NICK WOOSTER: I have to say probably what I’m doing right now is the perfect synthesis of all the things I’ve done. I still think of myself as a retail person first and foremost because I think about customers and their journey. Also, I am one. I’m always curious about how pieces are going to end up, or not end up, in someone’s closet. But it’s also about how retailers think. Because retailers, like the publishing world, are equally in upheaval. Commerce is going to happen, but the way it happens is rapidly changing. Working in design is nothing more than problem-solving. Hopefully, because of the swipe culture that we currently have, the Nick Wooster x Paul & Shark collection is something that will catch your eye. Because I understand it’s really hard to cut through the clutter of digital. ESQ: So you’re quite conscious of the digital culture that we live in and, therefore, made your capsule with Paul & Shark very colourful so it will stand out? NICK WOOSTER: No, I wish I was that clever. But here’s the thing, you can say it’s been formed by my street-style training or understanding of how what works. We live in a culture where things have to be immediate and have to telegraph something. So it might be a print, colour or shape. Maybe it’s the right or wrong, but it was like, what’s going to stand out on a rack. Hence the bright rave and techno colour palette. If you’re going to wear colour, I believe in wearing colour. If you’re going to be neutral, then wear neutral. I don’t really like things in between. ESQ: What do you think is the current market perception of Paul & Shark? NICK WOOSTER: I think the perception of Paul & Shark in certain markets is currently like a forgotten brand, something that isn’t necessarily relevant. Or maybe it’s like: ‘Oh, I remember. Didn’t they ship the sweaters in a can?’ or ‘they do a lot of sailing clothes’. But there’s no baggage associated with them either. It’s not like: ‘Oh my god, that was the worst thing ever’. And so, that’s the perfect opportunity for me to take something that has interesting roots and hopefully breathe new life into it. And the amazing thing about the business, that I only understood once I started working with them, is that the brand means different things to different regions. In certain markets, Paul & Shark may be considered old. Yet, in some markets, it may be super young and street savvy like in the UK. But then in the US and Japan, it doesn’t have any image at all, which again, is an opportunity. It’s a problem-solving challenge for me to fit things together in a way that make sense. Street style icon Nick Wooster. ESQ: Talking about your current spring/summer 2019 capsule collection, as you mentioned, it’s peppered with bright colours and prints. Besides joy, what do you want people to feel when they put on your garments or touch them? NICK WOOSTER: I think for every brand or designer, the first thing is you want the customer to have a response. There should be something that makes you go, ‘Wow, that colour is so intense’ or ‘that print is interesting’. Also, there are some shirts that have this outstanding tactile concept—the word in Italian is ‘crocante’. Because when you touch it, it feels crunchy. And again, some people like that, some people don’t. I used to work with a guy who hated clothes that made a sound. That was like a pet peeve for him. I love that though. Certain cotton, like the sheets on your bed, have a crisp sound. That ended up like a sound effect here and I like that. 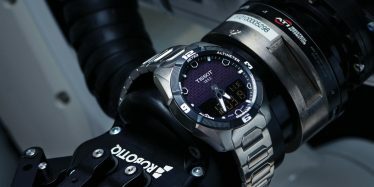 ESQ: So when you wear this collection, people can see and hear you coming? ESQ: There are many companies that specialise in producing trend reports for brands. Did you refer to any of them when designing your collection? NICK WOOSTER: No. I hate things like that. I think in certain places and in certain ways, that’s a useful service. People like Lidewij Edelkoort who runs Trend Union, she’s like the guru of trend service. She consults with Première Vision, which is a fabric supplier and exhibitor trade show. Believe me, if you’re consulting with Première Vision, you know your stuff; a fabric show is, by definition, usually six months ahead of when the designers are themselves working on (their collections). She also consults with car companies, not just fashion. It’s a real business. But this concept in clothing, trends for stores and magazines, I hate that. Because it implies something throwaway. It implies that it’s going to be good now, but it might not be good later. While we’re in the business of selling clothes, I believe it’s an acquisitive process. Like gardening, you hope that something you did a while ago is going to reap results later. If you buy something now, you want to be able to integrate it with something later. So I think the mark of a great brand is the opposite of trends. It’s something that can live for years, seasons. ESQ: And this goes back into the DNA of Paul & Shark? NICK WOOSTER: Exactly. Paul & Shark makes things that last, particularly their sweaters. There’s something about these sweaters that’ll always be good. Even if they are riddled with moth holes, they’ll be like the perfect deconstructed sweater that you want to have. It’s like if Paul & Shark and Margiela did something together. ESQ: Were there any surprises in your collaboration with Paul & Shark? What did you learn in the process that was unexpected? 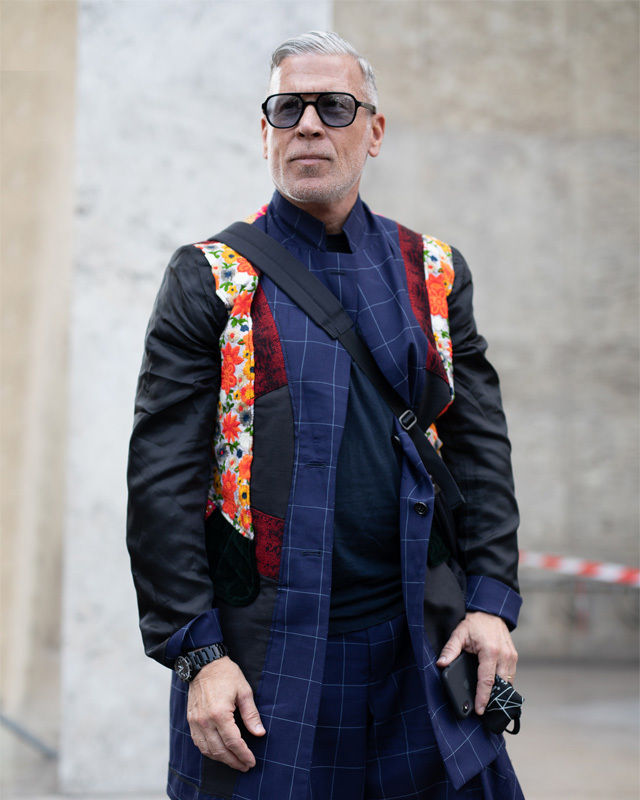 NICK WOOSTER: I’ll be 59 this year and one of the best things about ageing is that the older I get, the more I understand that I don’t know everything. When I was in my 20s and 30s, I was convinced that I knew everything. And working with a brand like Paul & Shark, I came to the table full of ideas, like ‘you should that’ or ‘I can’t believe you’re doing that’. I think that’s a very common designer or creative mindset. Everybody thinks that they know better. And in some cases, probably. But in other cases, and this has been my learning curve, you have to understand why the brand is still here 40 years later. While I’m quick to judge in general, that’s what fashion people do and what a buyer does; the more I work with them, the more I value the DNA of the brand. They are providing a service for people. Chief executive Andrea Dini understands and knows his customer base; what his customers want from him and what they need. But, also, Andrea understands he needs to move forward, which is why I’m here. So I’m super grateful for the opportunity, but it’s a learning process and something nobody can grasp overnight. ESQ: Let’s put on your buyer’s hat for a moment. What would you buy from your capsule collection for the Singapore market? What are your favourite pieces that are appropriate for our tropical climate? NICK WOOSTER: I’ve not been to Singapore yet, but I will be there for our capsule pop-up. I’ve seen Crazy Rich Asians like 10 times. I’ve always understood that the climate is hot. The bathing suits have got to be perfect for the Singapore climate. ESQ: Singapore is very well-air-conditioned too. NICK WOOSTER: I understand that too because I spend a lot of time in Texas. So on the flipside, it’s the cashmere sweater. And there are some great colourful and lightweight slickers. It’ll be perfect for a cold shopping centre or cinema. ESQ: What are some of the design elements in your collection that might not be immediately obvious? NICK WOOSTER: The reversible jacket. That’s a big part of the story and, again, because Paul & Shark has the technology, the know-how, to make things like that and do it in a way that is efficient. That’s what I love, it’s the surprise of something that you can turn inside out to create something new. ESQ: If you had to choose, what’s more important: a good product or good marketing in the world today? NICK WOOSTER: Being in retail, you have to do both equally well. If you have one and not the other, you’re going to fail. But if I had to choose, it’s product. A lot of people have done loads of marketing and there’s nothing wrong with it. It’s just that I fundamentally believe in product. ESQ: If you could attach three keywords to your collection, what would they be? NICK WOOSTER: Uh, try me on? (Laughs) That’s half the battle. I have said that I hate trying on clothes. I would love to try on clothes, but in a way I don’t feel pressured or feel self-conscious. Like the fitting room is hot or the lighting is such that when you look at your reflection in the mirror, you think you look horrendous. Or when you have a salesperson breathing down your neck. Sometimes, the idea of buying something online and having it delivered to your door, where you can try it on at your own pace, is appealing. I still love stores and still believe in them. Great stores are going to thrive and mediocre ones are going to die. I think it’s true with brands too. ESQ: Given your experience in retail and buying, have you spoken to Andrea at Paul & Shark about the store design and retail experience? NICK WOOSTER: We talk about everything and we have had many conversations. This is the secret of life: all it takes is time and money. So if time and money are in full supply then, knock yourself out. But like anything, it really comes down to wanting to make good decisions within a team. ESQ: What does success look like for you when it comes to the Nick Wooster collection for Paul & Shark? I’m sure you have quantitative goals, but qualitatively? NICK WOOSTER: To see it on someone in the context of what it was designed for. So, if I’m on summer vacation and I see someone wearing one of the bathing suits. I’ll be like, ‘wow, we did a good job here’. Because seeing it on the street is the highest compliment that anyone can get. ESQ: How short are your bathing suits? NICK WOOSTER: They are mid-thigh. So they are on the shorter side. Because I like to have a tan line where it’s meant to be: above the knee. ESQ: So you can’t skip leg day while wearing your swimwear? NICK WOOSTER: Well, no (laughs). Scroll through the gallery above to view the Nick Wooster x Paul & Shark capsule collection. The collection will be available at the Paul & Shark store at The Shoppes at Marina Bay Sands from 5 April 2019. For more stories like this, subscribe to Esquire Singapore.